By Caz | January 27, 2019 | This post may contain affiliate links, which means we may receive a small commission, at no cost to you, if you make a purchase through a link. Read our Disclosure. You just never know where life will take you. Every moment offers infinite possibilities, which is why it’s important to never put a wall on your dreaming. Love the joy of the dreaming. Talk about it with enthusiasm and bring parts of it into your life anyway you can. Who’d have thought that because of our lifestyle, travel blogging, and our road trip across the US, my Dad would get the opportunity to live one of his dreams? One I’ve known about since I was a little girl watching John Wayne westerns with my parents on a Saturday night. The Alamo in San Antonio was one of his favorites. I loved it because I used to love the TV show Davy Crockett, King of the Wild Frontier. 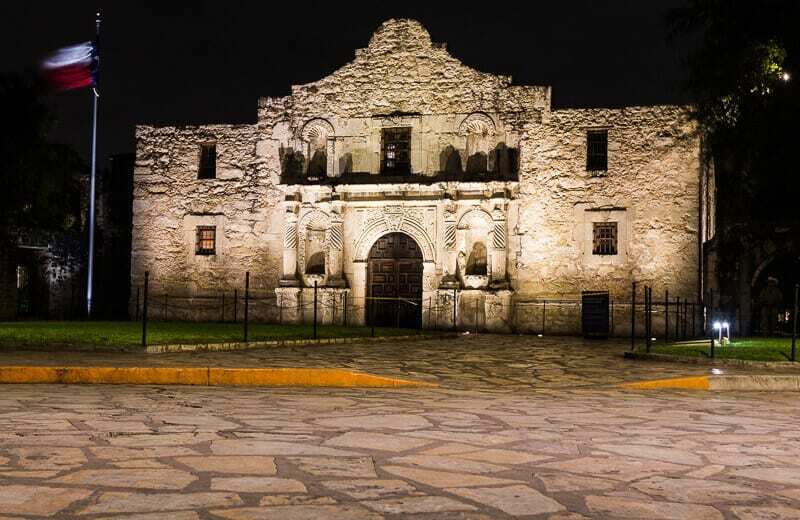 Davy Crockett was a hero of the Alamo. I remember watching The Alamo with him and the silence that came at the end of the battle. How could that be? Davy Crocket can’t die. Heroes don’t die. But the reality is they often do. Eventually anyway. What doesn’t die is their spirit, their bravery and the ripple effect of their contribution to evolution. A ripple that reached all the way to a man’s dreaming on the shores of Australia. Brought to him in the form of John Wayne, the “greatest” actor that ever lived and expressed into reality for him by a daughter who loves the freedom and growth of travel, especially in the US. 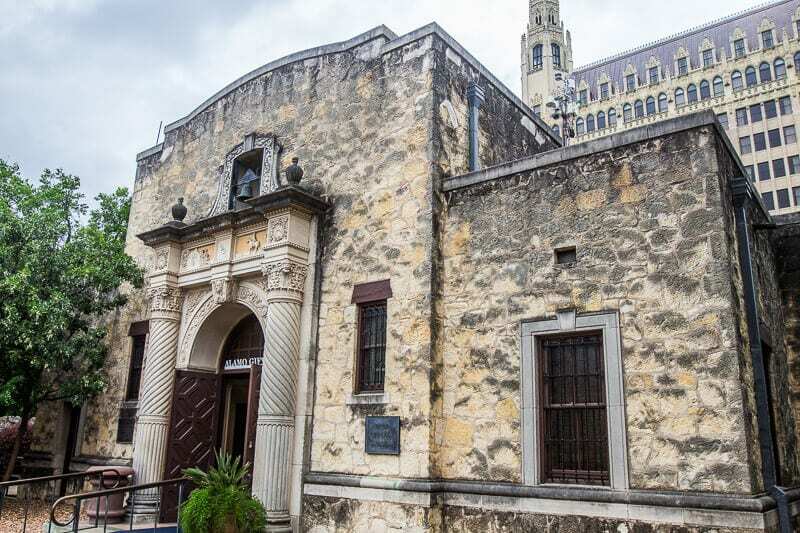 It was delightful to walk though the doors of this legendary sandstone fort in San Antonio Texas with him, watching him walk around in awe and imagining how it looked during the moment of the battle. It was time to Remember the Alamo. 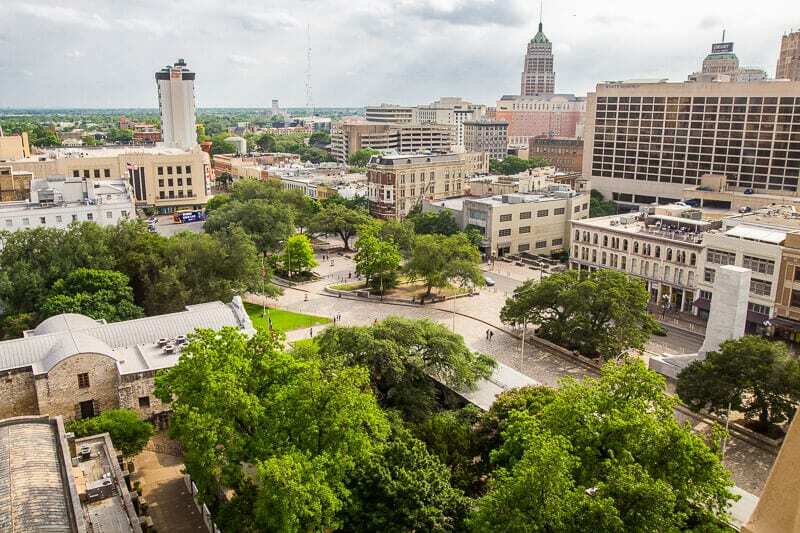 This year San Antonio turned 300 and we had the pleasure of visiting during the time of celebration. It must be something with 300 year anniversary this year as we also visited New Orleans during their 300 year celebration! The Alamo stands in the center of Downtown San Antonio in Texas. 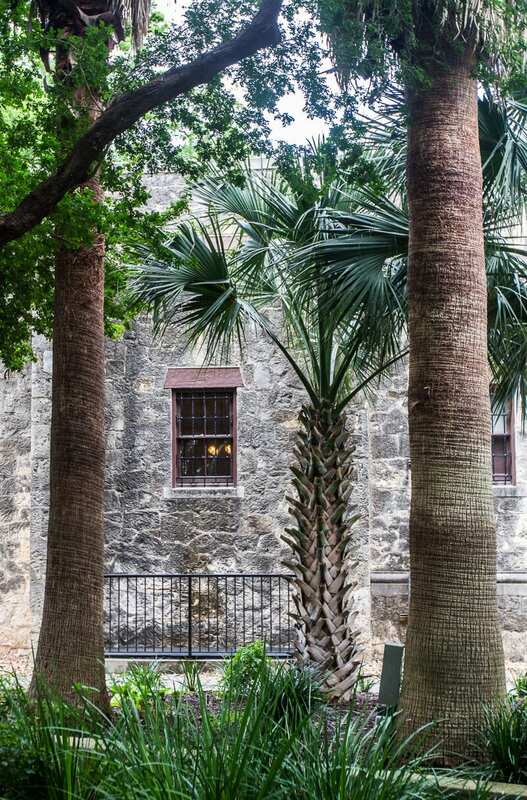 The old fort and cobble stoned streets, beautiful oak trees and the tree-lined San Antonio River Walk across from it, makes it one of the prettiest cities in the US. 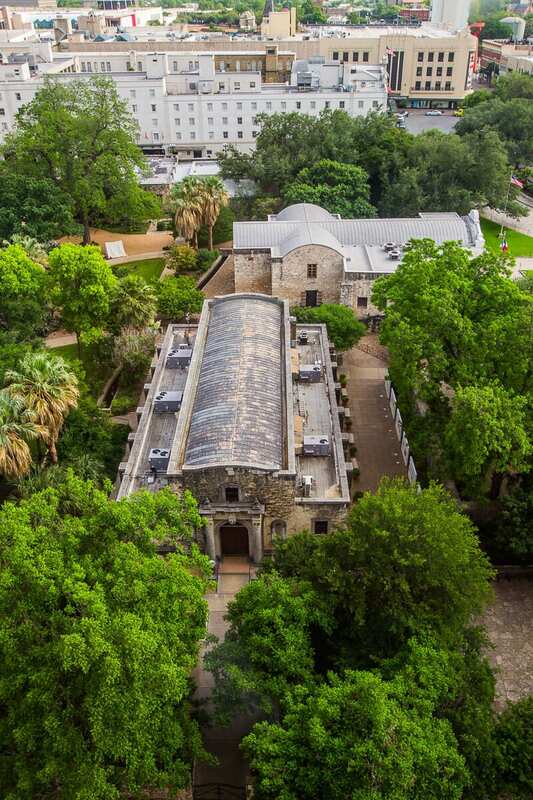 This military presidio on the riverbank was originally the Mission of San Antonio de Valero, which was build in 1718 and later relocated to its current place. The Alamo, and the nearby San Antonio Missions National Historical Park, (which we didn’t get to visit) are a UNESCO World Heritage Site. 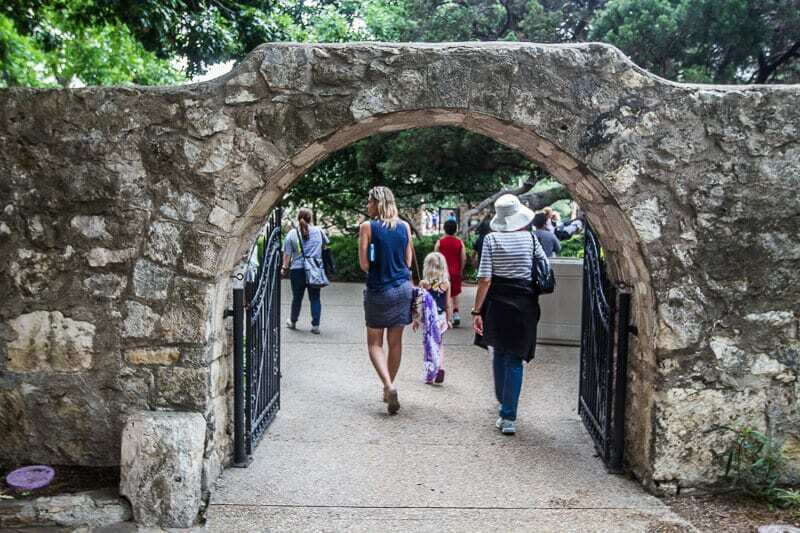 Next time we visit San Antonio I want to bike along the river to explore each of the missions, which are set along a 12 mile path from downtown. The Alamo is one of the pivotal battle sites of America in 1836. The Americans, fighting for independence from the tyrannical control of the Mexicans, were severely outnumbered by the Mexican army who surrounded them in the fort. Only a few women and children in the fort survived. 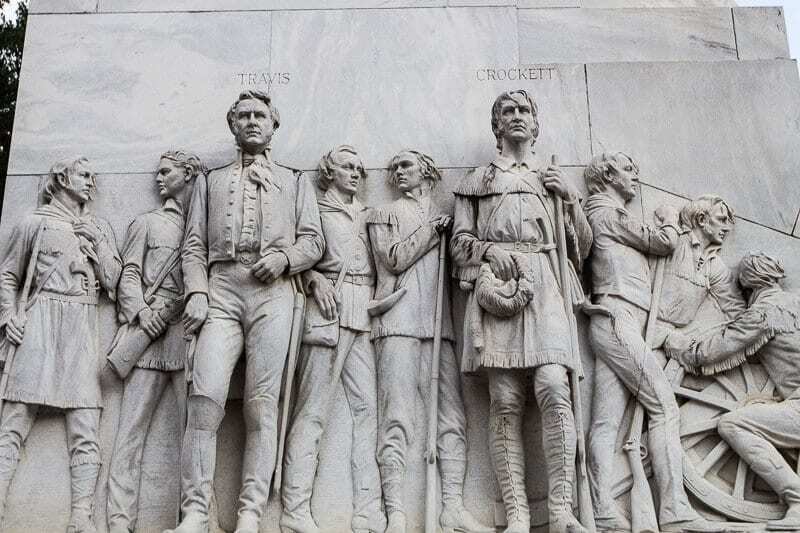 Roughly 200 Texan soldiers defending the Alamo were killed, including their leaders, Colonels William B. Travis and James Bowie, and the legendary frontiersman Davy Crockett. You can wander through the old Church to see where the last few soldiers fought until the bitter end and then wander through the grounds to see other parts of the old fort whose boundaries are now much smaller. 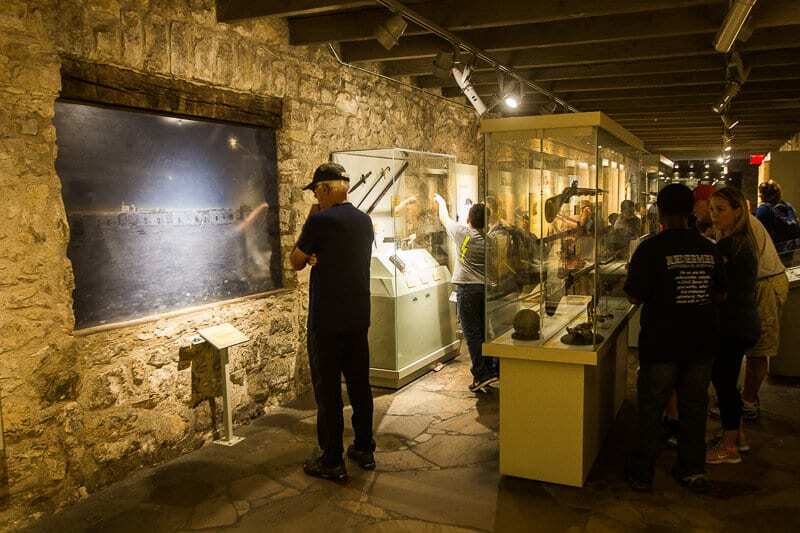 As you walk through the Alamo grounds and inside the old kitchen of the mission (the oldest building in San Antonio), you will learn the history of the Alamo and the mission leading up to that fateful evening when the battle was lost and all the soldiers killed. I’m glad that life has settled into defined territories and boundaries. While the world is not absent of skirmishes and battles between armies for control – at least in the area I live in – I’m glad I live in the era and area where the dust has settled. I hope we’ve evolved into a world where the need for borders becomes less as our fear and control for unhealthy power diminishes. Utopian view I know. But it has to start with a vision right? Empower from within rather than take power from without. I guess, the freedom I experience in being able to move freely (relatively) between borders comes as a result of the sacrifices of many hundreds of years ago. 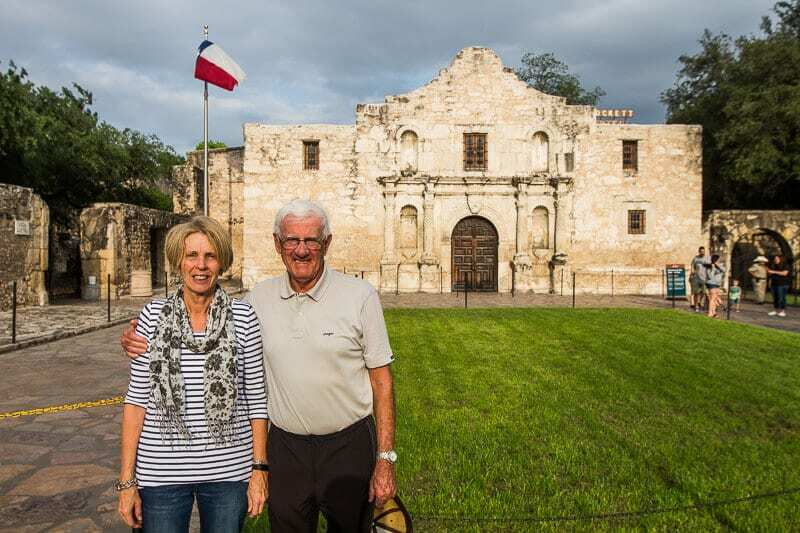 The Alamo’s importance is significant for the American people, in particular Texans, as it’s the moment they reclaimed their freedom and set in motion the path to independence and unity with the United States. The soldiers sacrifice within the Alamo cannot be forgotten. They crossed that line and chose to give up their lives for that independence and now the Alamo stands watch over their spirits. 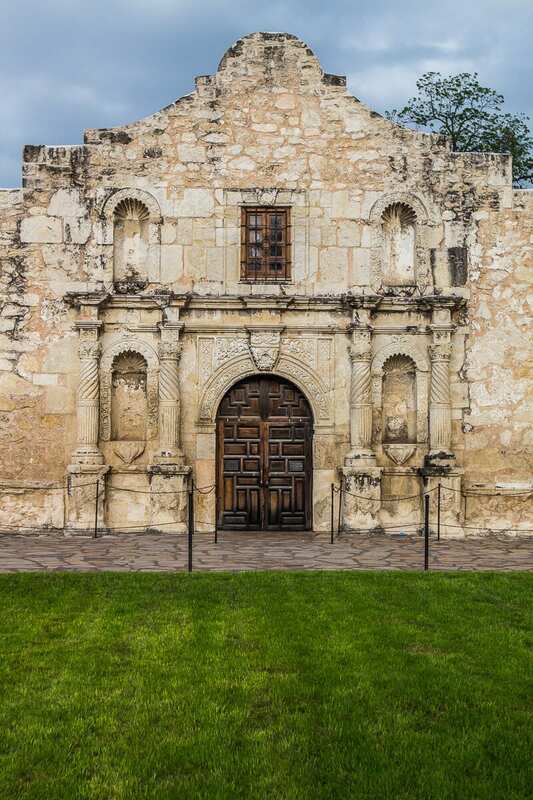 Cries ‘Remember the Alamo’ were heard in following battles which eventually lead to the Texan victory over Mexico. Remember the Alamo, is a testament to the fight against tyranny. 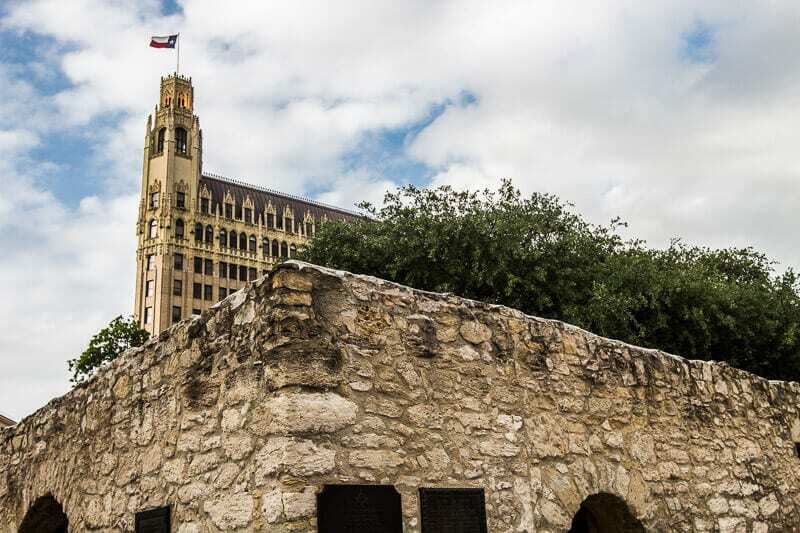 Remember the Alamo represents bravery and courage and the fight of the Independent Texas Spirit. 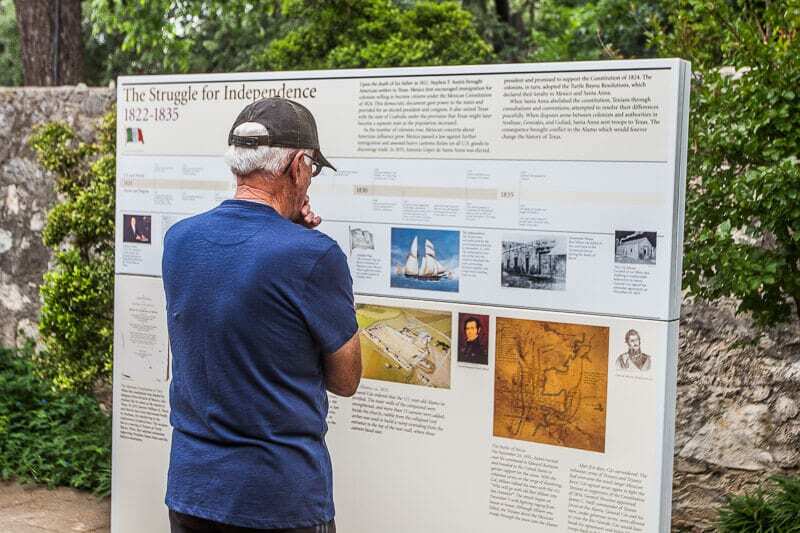 Again, I am reminded of what I learned in our recent visit to Greater Williamsburg learning about the Revolutionary Wall and figuring out why Americans are so obsessed with liberty. Here they were again at the Alamo fighting and dying for it. It’s something as an Australian I won’t understand, as my country hasn’t lived and died for liberty. But, as a visitor to the Alamo I can comprehend deeply the importance of remembering it. Apart from all of this, the Alamo is an incredibly beautiful and peaceful place to visit. And it’s free. So you can wander around for as long and often as you like. 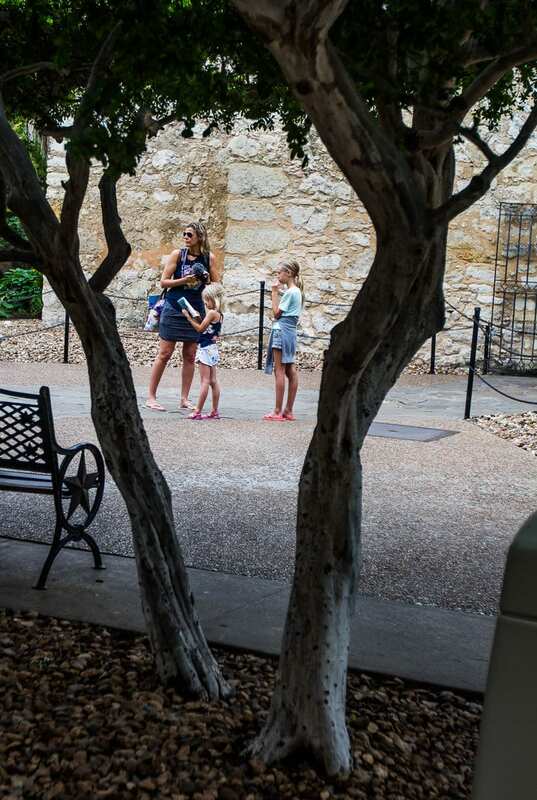 There are beautiful gardens out the back and in the courtyard and reenactments from actors sharing life in the fort back in the 1800’s. Be sure to come back in the late afternoon, when it is quieter and you can get better photos out the front. Seeing it lit up at night is also ethereally beautiful. The girls really enjoyed the visit and Savannah even whipped out my notebook to take notes of what she was learning! You cannot beat hands on learning experiences for kids. You can join our VIP Email community and grab this bonus ebook on life learning for kids! In the background, looking over the Alamo, stands the The Emily Morgan Hotel, an historic hotel of America, and where we stayed for our two day visit. 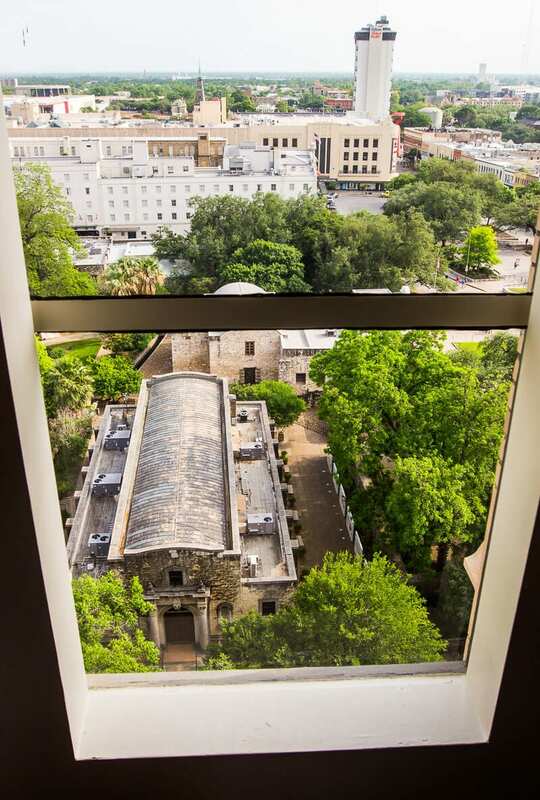 The Emily Morgan is the official Alamo Hotel and you can see the Alamo from the bedroom window. I liked peeking out early in the morning and watching the jungled landscape and sandstone walls of this magnificent structure. One morning three Buddhist monks walked around the outside of it, their bright orange robes contrasting against the green of the trees. I thought for a moment I was back in Cambodia. 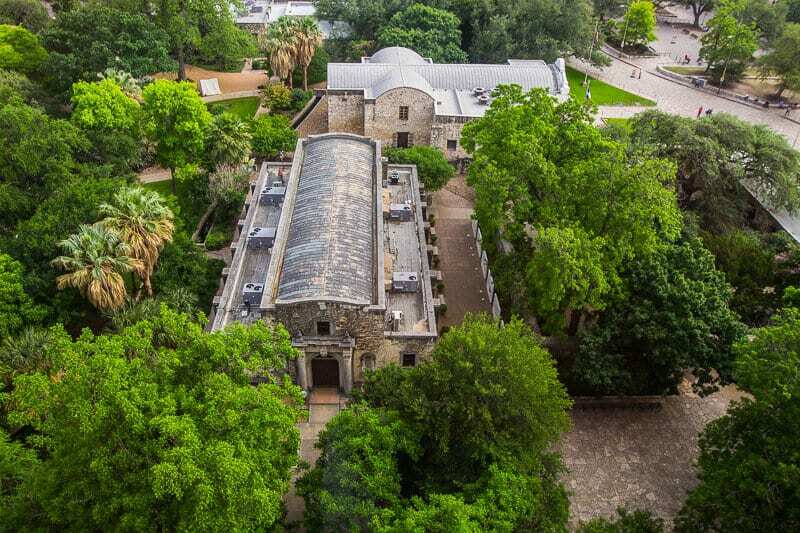 I know my Dad was wowed when he walked into his room and down below was his beloved Alamo! The Emily Morgan was a fantastic hotel to stay in. I highly recommend it as an experience to enrich your visit to the Alamo. The Emily Morgan Hotel dates back to the 1920s; it’s classy and sophisticated and you can learn more about its history in the gorgeous foyer. 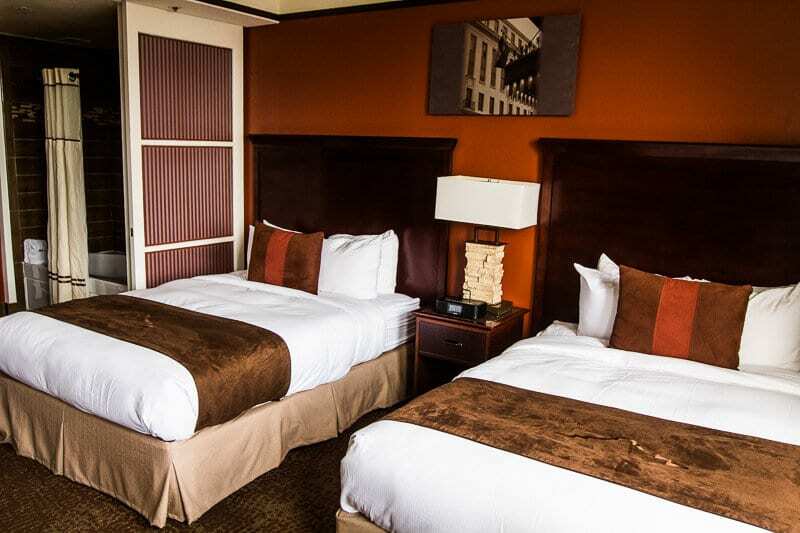 The guest rooms are stylish, spacious and comfortable. The Emily Morgan was named after the Yellow Rose of Texas, a cream colored mulatto who was instrumental in helping the Texans eventually defeat the Mexicans. She was kidnapped by the Mexican leader Santa Anna, who was known as the Napoleon of the West. Legend has it that one day she was approached by Sam Houston and asked if she could help them by “distracting” Santa Anna. She agreed. Houston and his army surprised attacked Santa Anna and won. She became the Yellow Rose of Texas and the hero. Woman Power! 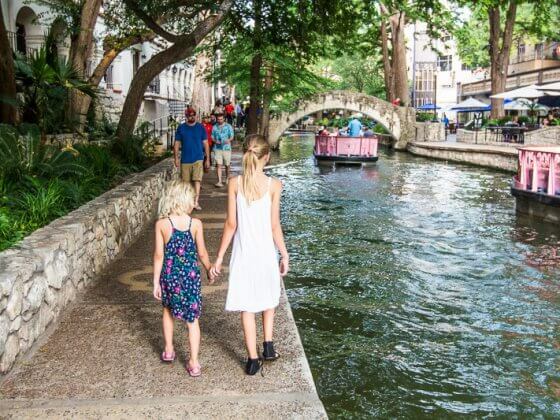 The Emily Morgan hotel is within walking distance to most San Antonio attractions, including a short stroll to the San Antonio River Walk. 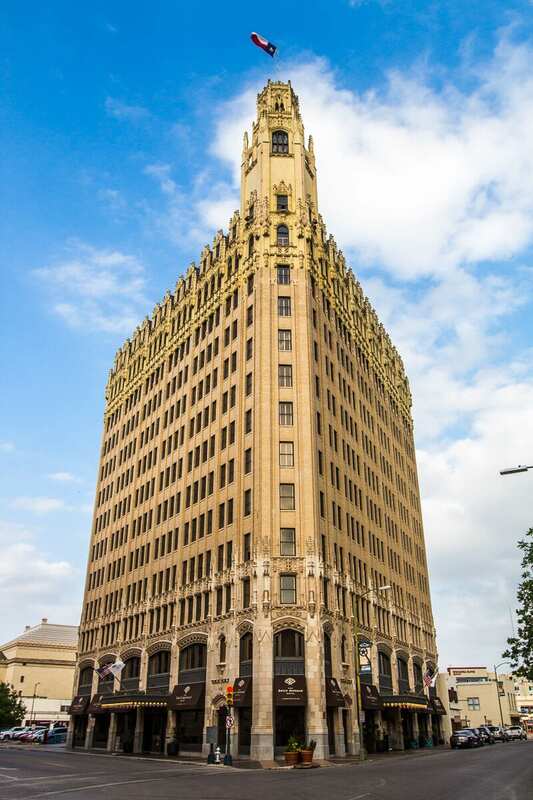 If you’re looking for the quintessential San Antonio Hotel this is it. 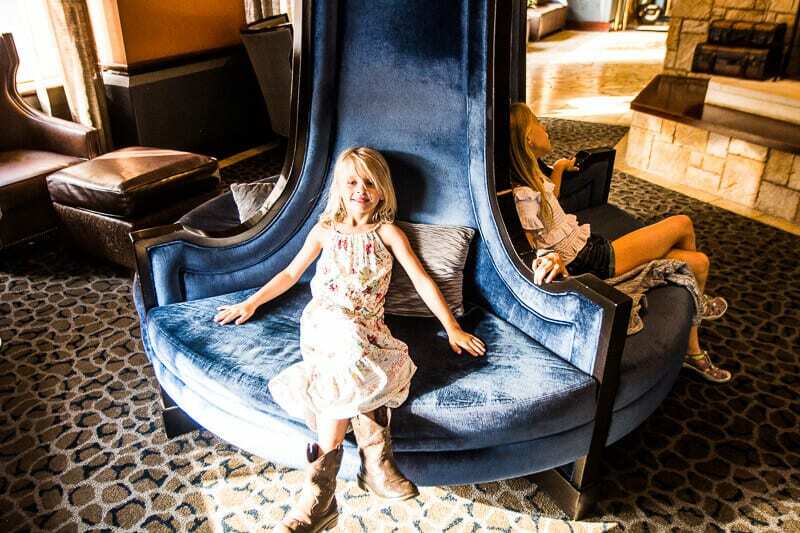 It was one of our favorite hotels on our Dallas to Boston road trip. Book your stay at the Emily Morgan through our affiliate partner, Booking.com. It was woman power that eventually came around to help the Alamo survive. After the battle it was used for various reasons, it even had a structure built on top of it. Eventually, instead of being the protector, it became the protected. 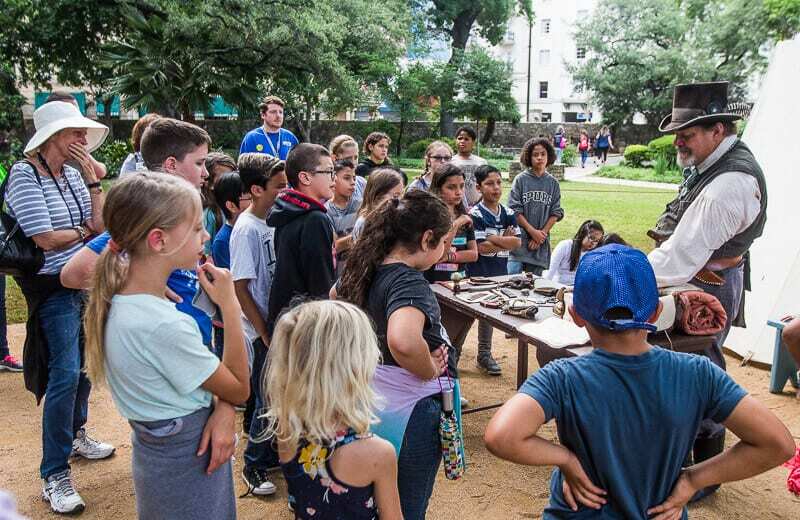 The Daughters of the Republic of Texas fought to ensure the Alamo survived as a shrine to Texas liberty and is now a place people from all over the country and world can come to visit, pay their respects and remember. 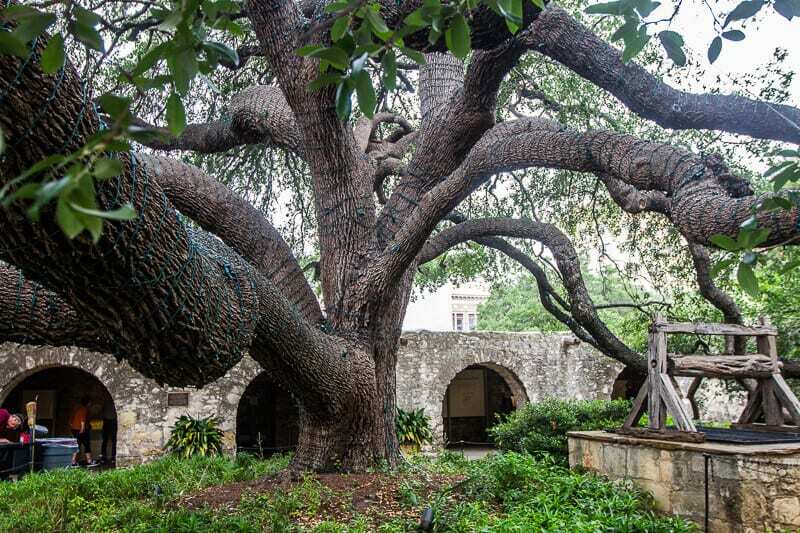 The story that captured my attention the most in the Alamo is the magnificent 100 year old oak tree in the courtyard. 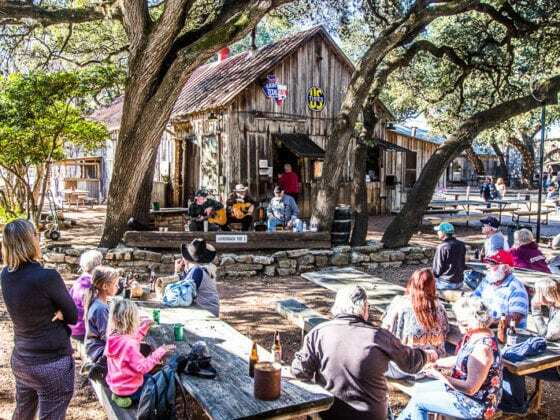 It doesn’t have anything to do with the Alamo of the old, but definitely brings new life to what was a crumbling place of bloodshed. The oak was moved here in 1917 and helps create a lush green landscape so unlike what would have been in the 1800’s. The birds sound happy resting on its branches and it emanates a subtle, captivating smell I can’t quite describe. I feel such peace and joy standing underneath is overarching branches and taking in its beauty. Life will always follow death, often in more evolved and better form. Live your life so you can contribute to the better form evolution. 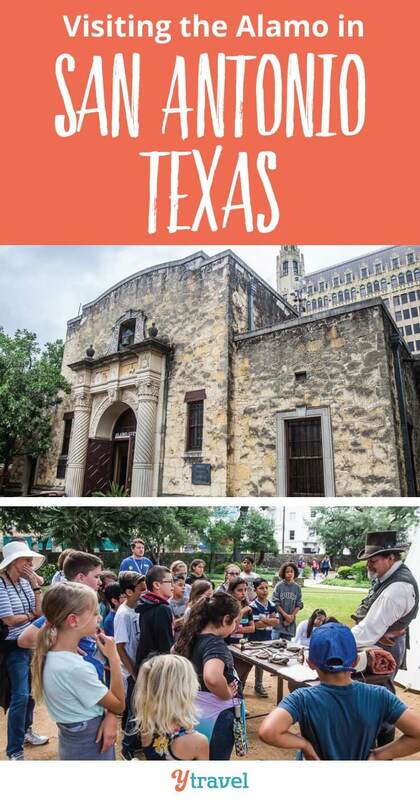 The Alamo is free but if you plan on visiting a few San Antonio attractions, a Go Card may help you save up to 45% on admissions. Click here to get yours today. 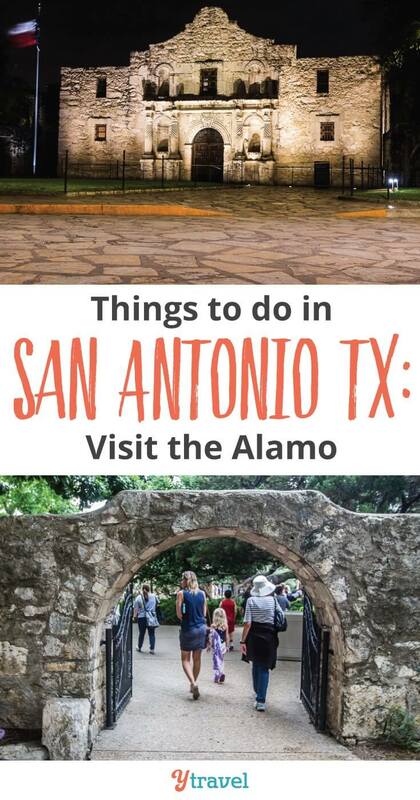 Have you visited the Alamo in San Antonio before? What dreams have come to you in a surprising way? 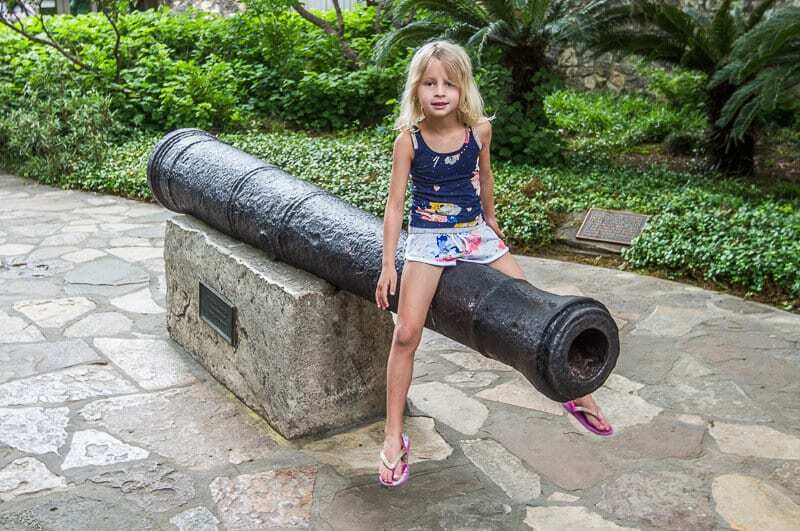 I enjoyed your blog about the Alamo and found it very descriptive and accurate. I also want to thank you for writing about the significance it has to Texas and its Spirit. 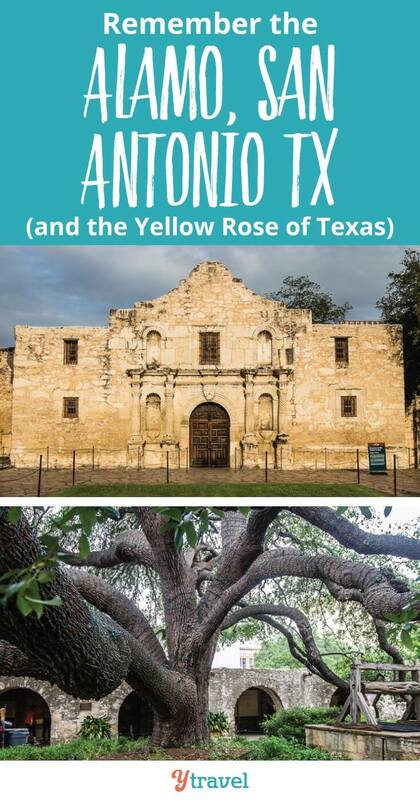 As the General Manager of the Emily Morgan Hotel I also want to thank you for your review of our property and also telling the story of the Yellow Rose of Texas, Emily Morgan. Thank you so much for your Blog as I will continue to follow you.